Inspired by Vasiliy Lomachenko, one of the greatest boxers of this, or any generation, the Rival LOMA Series is a tribute to this 2-time Olympic Gold Medalist and 2-time World Champion. This limited edition series is a reflection of this outstanding athlete and boxings best Pound for Pound fighters. The LOMA Series is the complete line of the original training equipment that Lomachenko uses during his training camps. Designed to fit and feel like our Pro Fight Glove, Rival is proud to present the RFX-Guerrero Sparring Glove. 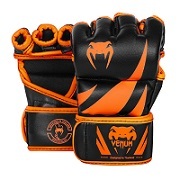 This custom designed sparring glove gives you the superior hand protection you are looking for in a sparring glove along with the sleek fit and feel that you have become accustomed to in our Pro Fight Glove. This glove also features our patented Angled Lace Track design for optimal wrist support when the glove is laced. Constructed of Premium Quality Leather. 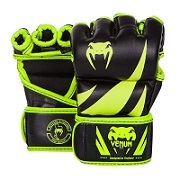 RFX-Guerrero Pro Fight Glove Design and Fit. Exclusive Custom Printed LOMA Design.